Earlier this month we spent some time at Glacier National Park, in Montana, and Waterton Lakes Park, in Canada. I have a slew of photos, especially of monkey flowers, chipmunks, deer, mossy trees, and mountain goats (oh, and also those mountains and glaciers and lakes, all in one picture! ), and I hope to use some of them to paint some etegami. 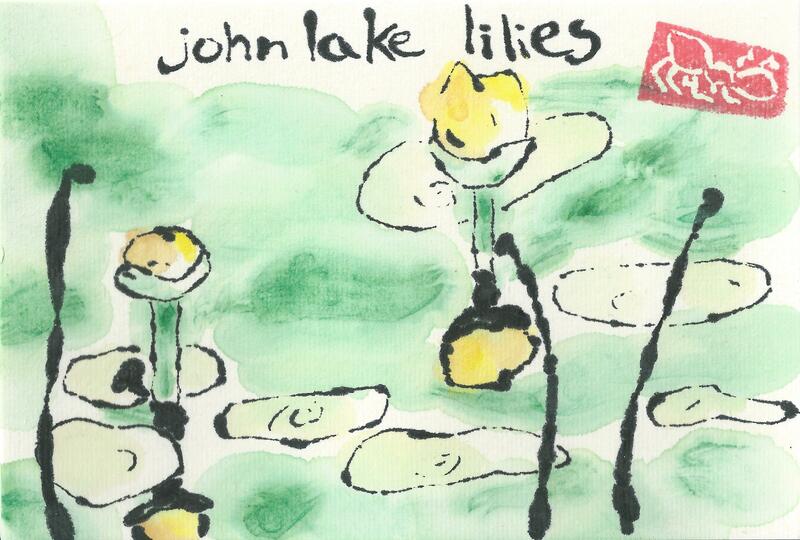 I did get around to painting one image, pond lilies at John Lake. John Lake was a backup hike we did, when it was impossible to find parking at the super popular Avalanche Hike (tip we should have heeded: take the shuttles from McDonald Lodge up to the hike… we didn’t know that Glacier would be doing massive road work, taking up parking spaces). John Lake was a short hike, but very peaceful and quiet. 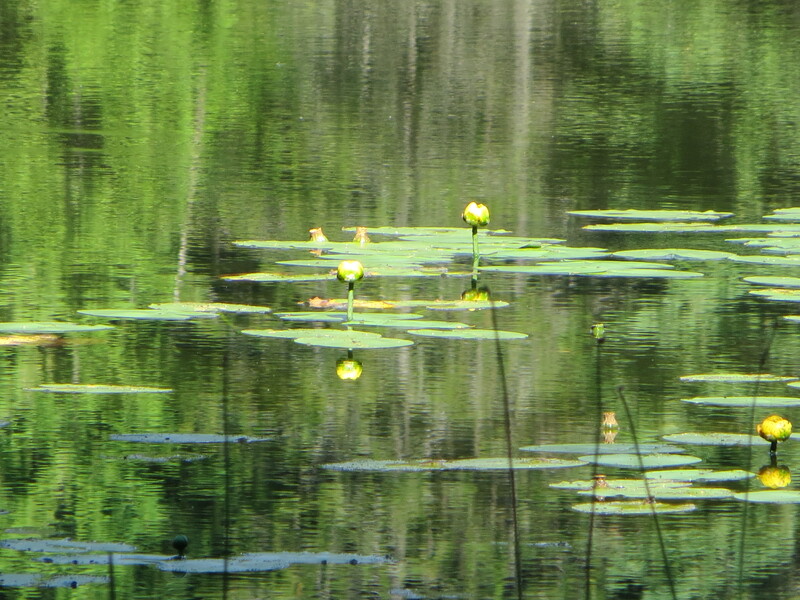 The yellow lilies were not what I was expecting in a glacier park… but then soon, glaciers won’t even be at Glacier National Park. Below is a photo that I used as my model for the etegami. Yep, just doing etegami and sharing it is the goal! It’s funny, sometimes when I am out of practice and I go back, I feel like I have forgotten how, and I end up with pieces that seem rather boring. Then I add color and words and the card just comes back to life.